This is a really lovely trend – who doesn’t love flower prints and on a large scale? Look out for big blousy designs that have a pre-Raphaelite style and you’ll find them on cushions, bedding and as murals (shown here). Keep the rest of the look simple, so the florals become the star and pick out key colors to accessorize with. This is a combination of different elements that creates a beautiful and simple look with the emphasis on natural-looking furniture. 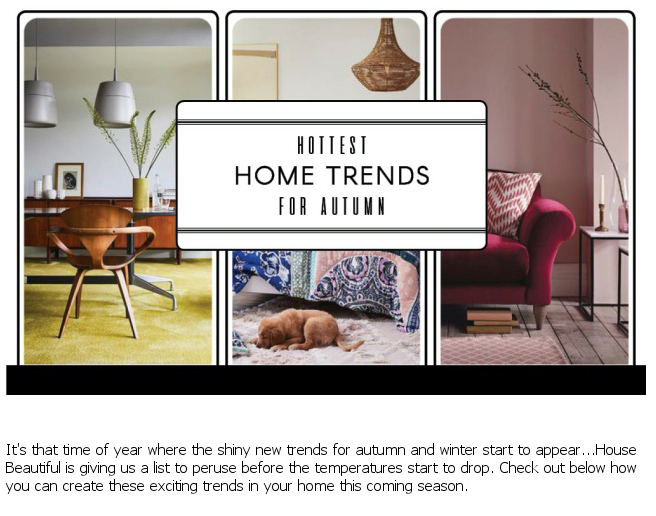 As Kate Butler, head of design at Habitat, explains: ‘Here there’s been a focus on stripped timbers, wood grain and a return to simple, natural patinas and materials within furniture.’ Team this with gently patterned crockery, soft grey chairs and a neutral block colored textured rug to complete this calming trend. Fans of monochrome will adore this trend. It’s all about the accessories – and they need to be black. But if you’re not a massive fan of large amounts of black you can make this trend work by using small blocks here and there. Like this beautiful beaded pendant, console and shelving unit. Combine this look with tactile pieces and white to balance it out. Kitchens are undergoing a change, no longer are they simply all about one style of units, a worktop and a complementary splash back. This new and exciting trend is all about mixing it up – different textures sat next to each other, contrasting in both color and touch. ‘A sleek quartz work surface with an integrated solid wood chopping board or dark cabinetry against a clean marbled splash back, makes for an eye-catching space, and one that is full of character,’ says Daniela Condo, designer at Life Kitchens. 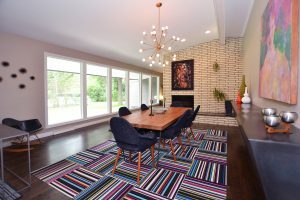 Birmingham, MI — On September 9, 2017 hundreds of buyers and collectors from all over the tri-county area will have their pick of some amazing collectibles, antiques, and quality furniture at the annual Hall & Hunter Realtors Estate Sale. 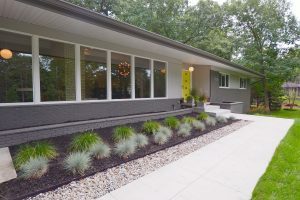 Now in its 13th year, this annual event benefits Habitat for Humanity of Oakland County and to date, has raised more than $250,000 dollars to help local families achieve their dream of owning their own, affordable home. 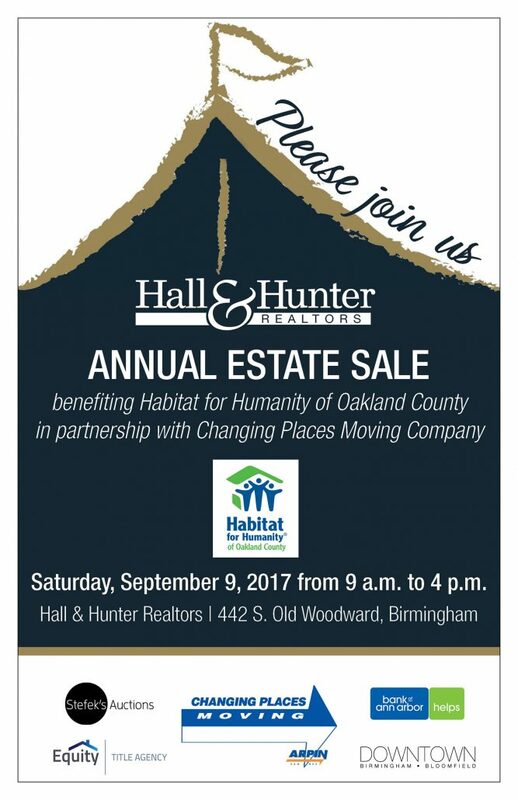 Held under a giant tent at the Hall & Hunter Realtors office, located at 442 S. Old Woodward Avenue in Birmingham, the event runs from 9am to 4pm and shoppers are encouraged to get there early. Habitat for Humanity is a grass roots organization dedicated to the elimination of poverty and substandard housing. Habitat builds or renovates homes in partnership with qualifying families who pay a no-profit mortgage held by Habitat. Since 1996 Habitat for Humanity of Oakland County has built and renovated homes for more than 200 families. 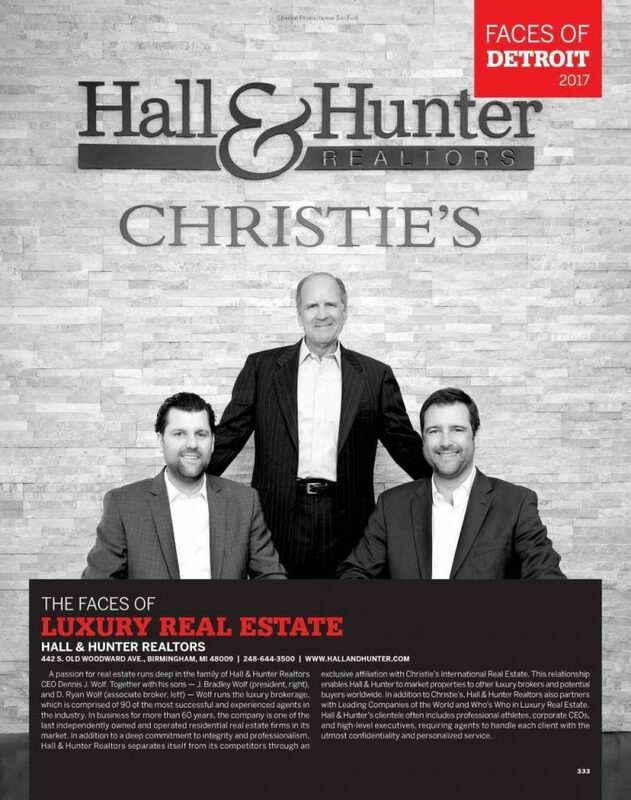 Hall & Hunter Realtors is an exclusive affiliate of Christie’s International Real Estate and has been serving the community for more than 60 years. For more information contact: Gillian Lazar (glazar@hallandhunter.com) or Pam Gray (pgray@hallandhunter.com) or call 248-644-3500. Set on almost 2 acres, this European inspired manor home takes full advantage of its peaceful, private setting located in highly sought after Cranbrook Community neighborhood. Bathed in natural light and rich in character, the interior benefits from a thoughtful floor plan that connects to an array of outdoor living spaces. Exquisite details include gleaming marble floors, leaded glass windows, crystal light fixtures and intricate moldings. The main level takes in a 2 story foyer with a sweeping staircase, richly paneled library, gourmet kitchen opening to wonderful entertaining space featuring a large family room with fireplace, beautifully accented formal rooms and luxurious master suite and bath. Ample family accommodations include four additional bedrooms and 3 full baths on the upper level that overlook the spectacular gardens and lush landscape. A very special home! 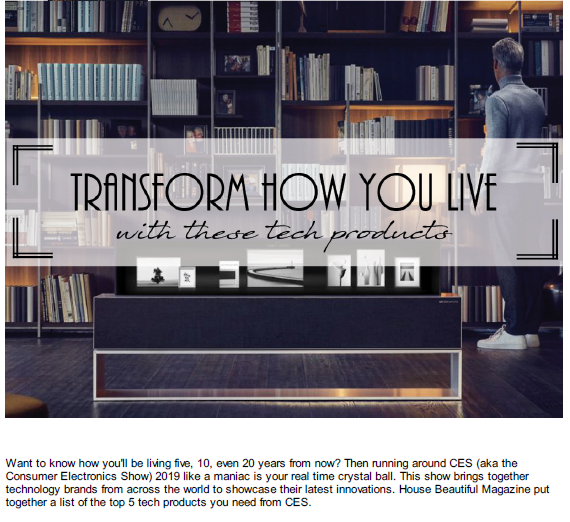 Contact Cindy Kahn for more details. Very proud to see our fearless leaders featured in Hour Detroit‘s Faces of Luxury Real Estate. CEO Dennis Wolf, President Brad Wolf & Assistant Manager Ryan Wolf consistently show a deep commitment to integrity and professionalism, setting an amazing example for our 90 experienced agents. Electrical outlets – check outlets and cords for frayed wires or loose-fitting plugs. Fuse boxes and extension cords also should be checked to make sure they are not overloaded. 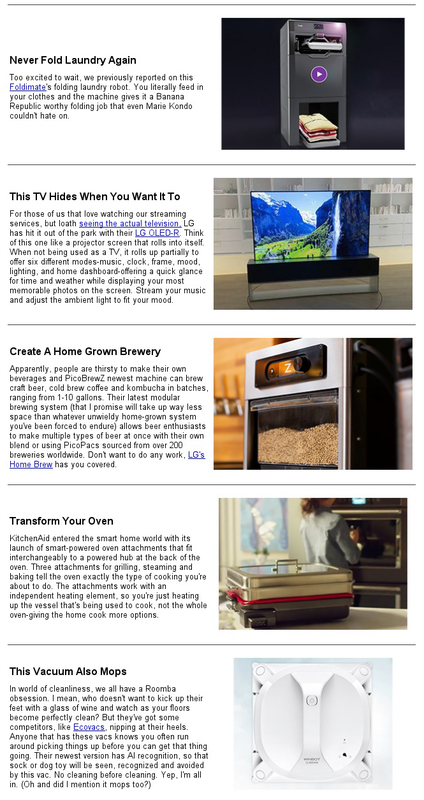 Dryer – Clean lint build-up from the clothes dryer exhaust duct and the space under the dryer. Use a specialized brush to clean out the vent pipe. Lawn Equipment: Make sure lawn mowers, tractors and other equipment are tuned up before using. Store oil and gas for lawn equipment and tools in a vented, locked area. Walkways and Driveways: Repair any cracks and broken or uneven surfaces to provide a safe, level walking area. http://www.hallandhunter.com/wp-content/uploads/2016/11/HHLogo-300x138.png 0 0 Social Hall & Hunter http://www.hallandhunter.com/wp-content/uploads/2016/11/HHLogo-300x138.png Social Hall & Hunter2017-06-15 13:25:052017-06-15 13:29:21Are you and your garden ready for summer? http://www.hallandhunter.com/wp-content/uploads/2016/11/HHLogo-300x138.png 0 0 Social Hall & Hunter http://www.hallandhunter.com/wp-content/uploads/2016/11/HHLogo-300x138.png Social Hall & Hunter2017-05-09 14:32:122017-05-09 14:32:12Spectacular mid-century modern ranch is renovated perfection!